When it comes down to finding one of the best printing companies on the Gold Coast, look no further than Gold Coast Printers. There is, and always will be, cheaper digital printers around, but we pride ourselves on being one of the best value printing companies on the Gold Coast. We are totally focused on your printing project being a successful part of your marketing plan. Occasionally we will tell you, as politely as we can of course, that your print work is awful! We will try to point out anything that we find obviously wrong with your project if we spot something. Ask any of our clients, we really try to fit in with your deadlines, and will always to our very best to get your work done for you as soon as possible. We will always go the extra mile to assist you. Our motto is “Your success is our success” and we really mean it! 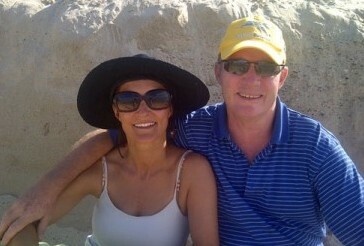 Adeline and Guy Morris moved from South Africa to the Gold Coast in 2005, with three kids and everything else in tow. They were involved extensively in retail in South Africa, and for the first few years in Australia, Guy flew back and forth to South Africa, still involved in business on the other side of the world. The travel, missing the family, and of course the beautiful Gold Coast, convinced them to sell the South African interest, and start a local business on the Gold Coast. They initially looked around at many different businesses, and found that they liked the creativity associated that printing companies could offer, plus they really could not stand the thought of opening a coffee shop! Adeline and Guy researched many of the printing companies on the Gold Coast, and looked at many print companies all over Australia. They found that although there are many good printers, and some offering cheap printing, the level of customer service offered, was generally disappointing, calls not returned, and emails blatantly ignored. Most printing companies simply didn't want to and quite frankly wouldn't talk to you. They all wanted your business, but didn’t want to provide the customer service to back it up. Cheap printing is available in many places on the web, but you were in big trouble if you wanted to change something, get advice, or just talk to someone. Gold Coast Printers ensures that there is a digital printing company who "had your back". There was simply no-one around prepared to listen and help. We are changing the way people look at digital printing Gold Coast, and our blog provides helpful information to any business. As digital printers, we can get short run jobs (up to around 1000 A4 copies) completed really quickly. Let us know that you need your job done at warp speed, and we will make it happen for you. An associate introduced them to wide format digital printing very early on in the journey, which really suited the business. They love making big signs, little signs, posters, banners, big stickers, little stickers, coreflutes, pull-up banners, almost anything on our fabulous modern machines. They have become one of the leading digital printers on the Gold Coast by maintaining their strong customer service ethics, and backing this up with great quality print jobs. The Challenges Learning how everything works, and what everything means was probably the biggest challenge for the newbies of the industry but those early days are long past. Most printing companies on the Gold Coast seem to be determined to talk in “Printspeak” but at Gold Coast Printers, we communicate in plain, easy to understand English, and help customers complete their projects successfully by great communication. 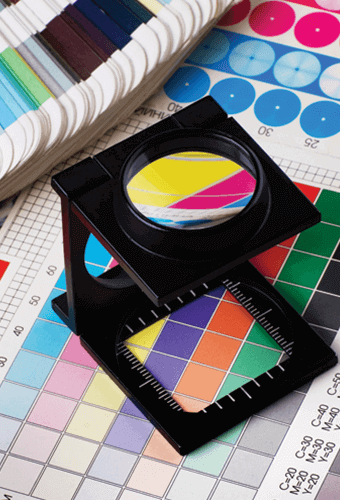 What began as a small print shop has now developed into a large digital printing business. Growth has been driven by the relationships with their clients. Capability has shifted from small digital print, to huge banners, shop wraps, bulk poster prints, monthly magazine prints, and a large array of products and services. Try us out. We're confident that you will find our customer service first class and our prices exceptional value. We invite you to join the power packed list of customers that have found us to be the best digital printers on the Gold Coast - Have a peek at our reviews on Google, which tell the story.